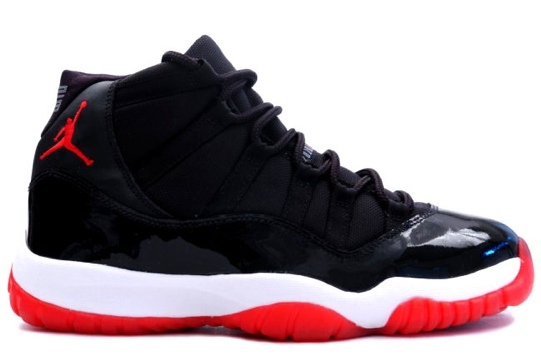 The sneaker community has been buzzing with the confirmation today of a Christmas release of the Air Jordan 11 ‘Bred’. We previously heard that the Air Jordan 11 ‘Columbia’ was releasing this year but it looks like Jordan Brand will be treating us to two 11s this year. No word on when then Columbia’s will be releasing but stick with kicksandthings for more information as it comes. The bred 11’s come out exactly Christmas DAY ? Say everybody will probably be out in line Christmas eve right ? no they release the 22nd becuz of the leap year and the 22nd is a saturday but do you know what the price will be at footlocker? You gotta be IN LINE the night of the 22nd. Time of line up varies depending on location & they’re release method(#s, bracelets, 1st come 1st served ect). Release is at 6am or 8am the following morning (the 23rd) depending on lcation. They’re $196.98 with tax. Get it together..this info shoulda already been known! Do u have to purchase a ticket.